We invite you to reward yourself with some well-deserved luxury rest and relaxation at one of the premier private estates in Lake Como, Italy. While simultaneously strategizing how to discover and begin the next great chapter of your lives, we will introduce you to the best that Lake Como has to offer in the way of world-class lodging, gourmet food, and unrivaled lake views. At our weeklong Risk4Bliss retreat, you will join a carefully curated group of accomplished Power Couples to participate in an intimate personal development experience like no other. We will do far more than inspire you. 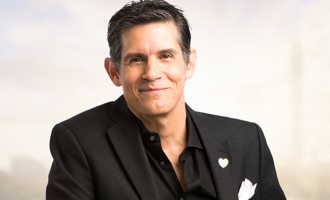 We deliver results by helping you both become more self-aware, aiding you in understanding the role risk can play in overcoming fears and other stumbling blocks both in your marriage and your professional lives, challenging you to understand the difference between a choice and a commitment, and becoming your champion on your new journey to Bliss both as individuals and as a couple. It will be our mission to accelerate your Bliss! We offer optional post-event private coaching, and, if the stars align, even investment capital. 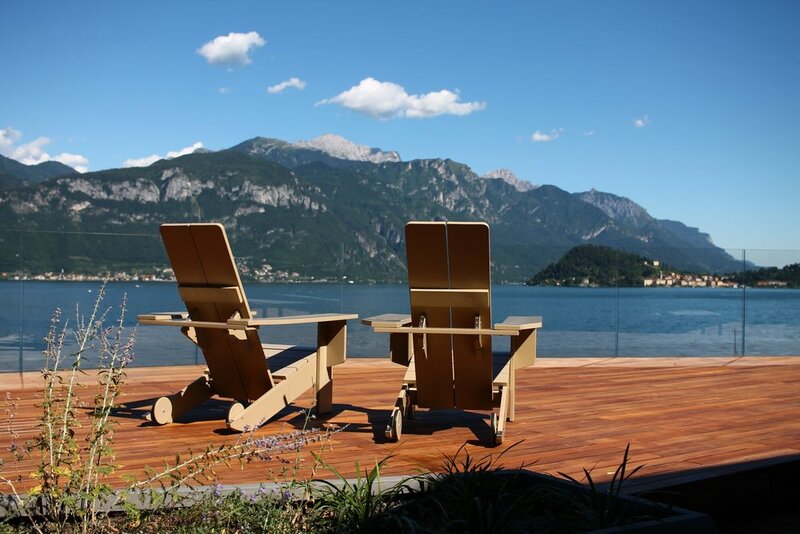 Come accelerate your Bliss at the magical Villa Breakwater on stunning Lake Como. Typically reserved for Billionaires, A-List Hollywood Celebrities & Famous CEO’s, this estate is truly one-of-a-kind. Villa Breakwater is an ultramodern Waterfront Villa with the comfort and amenities of a Four Seasons. It has magnificent views of Bellagio, Varenna and the mountains surrounding the lake, its own boat dock and speedboat to pay your favorite lakeside towns a visit in style. The 7-bedroom, 8-bathroom villa has multiple terraces with stunning views, a professional Spa for massages & other beauty services, Fitness Center/Gym, Cinema, an incredible dining room, air conditioning, game room, library, a fully furnished our gourmet kitchen, an outdoor barbecue area, a fire pit for group gatherings, a heated swimming pool, its own garage with plentiful parking, and an incredible bar area for entertaining. Our fearless leader has invested over $20 mm in risk capital, and his various companies and investments have generated over $250 mm of revenue. Eric and his wife Lori currently manage a $50 mm real estate portfolio and Eric has started 11 companies and successfully exited from six of them over his 23-year career as an Entrepreneur. He currently runs operates three companies with his wife Lori. And he did co-create the Vans Warped Tour, built a global dream internship business, started a magazine, and won the Small Business Entrepreneur of the Year Award for the state of California in 2016 (for helping turn an entire city around economically). And yes, the rumors are true. Eric “cashed out” and never has to work another day in his life because the man’s a lion when it comes to following his Bliss in business. As Eric’s close friend Patrick Combs says about him, “But nobody loves Eric for his success; everybody loves Eric for his heart. Eric is unequaled in his track record of getting personally involved in helping others succeed at their dreams.” Eric’s newest venture and calling is as an Attribute Investor. He currently manages Bliss Investment Funds I & II, providing $2 mm in investment capital to Bliss Seekers. participating in his retreats. This is one side of an amazing power couple that has a lot to offer in launching and successful building businesses, especially ones that are your bliss. His Superhero Power is monetizing his own bliss and giving advice to others on how to do the same for theirs. Lori has expertise in real estate acquisition, event planning, advertising, online marketing, insurance and communication. Lori always has a LOT going on! She currently owns 7 companies in the fields of real estate, concert promotion, experiential museum creation and operation, insurance, Artificial Intelligence Conferences, and even concession sales. She promotes/hosts over 200 public/private events a year at her 2 theaters, is about to launch an experiential museum called Selfieville in Monterey, CA and is producing the first major conference on Artificial Intelligence in Silicon Valley this March. Lori has sold over $25 mm worth of concert tickets in the last 7 years from her solo advertising efforts, and has built a $50 mm real estate portfolio with her husband Eric. She owns an insurance agency and was a stockbroker for Merrill Lynch & Morgan Stanley in her 20's. She was born and raised in San Francisco and is a proud Trojan alum (USC Graduate) and a wife to a wonderful & supportive husband. She was awarded Business Woman of the Year by the Redwood City San Mateo County Chamber of Commerce in 2017. Lori’s Superhero Powers are multi-tasking and sales. Deanna is Founder and Chief Product Officer of ARIIX Holdings, LLC. Deanna is the driving force behind the development of ARIIX’s revolutionary health and wellness products. She has been involved in the field of health and wellness since 1999. She served as a consultant, spokesperson, writer and guest lecturer for some of the largest colleges, universities and corporations in the world. She has been an NCAA grant-approved speaker for over 7 years, speaking to college sports teams about their health and well being. She also has been a sought-after motivational speaker in the field of health and wellness for over a decade. During college, both Her parents became ill with life-threatening diseases, a situation that spurred Deanna's own impetus to change her focus towards nutrition, especially because she had battled with an eating disorder for 11 years as well as numerous other health problems that had plagued her throughout her life. Over the past 16 years, she has been dedicated to research and development in the field of natural health and well being. Deanna & Patrick are the proud parents of two incredible teenage children Will & Alyssa.